Travis Browne was more than a 2-1 odds-on favorite to beat Fabricio Werdum (pictured) and advance to a title bout against reigning champ Cain Velasquez. Unfortunately for Browne, Werdum decided to serve up yet another upset special (Please see: Fedor Emelianenko) and rock the MMA world. 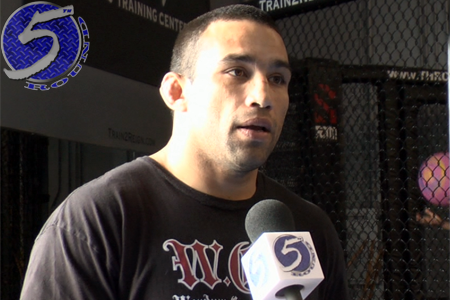 To the surprise of many, Werdum took home a lopsided (49-46, 50-45, 50-45) unanimous decision victory on Saturday night. UFC president Dana White thought Werdum “played it safe” in his win, but who can blame him since the top contender moniker was already his but the Brazilian was forced to take the tango against Browne because Velasquez underwent shoulder surgery in December. Werdum now advances to the shootout he was previously promised.